We believe that your four legged friend deserves natural dog food full of nutritious ingredients, so we use a unique process to gently mix the ingredients at low temperatures before cold pressing them at a low temperature of 44 degrees to allow these tasty bites to retain all of their natural, nutritious goodness. 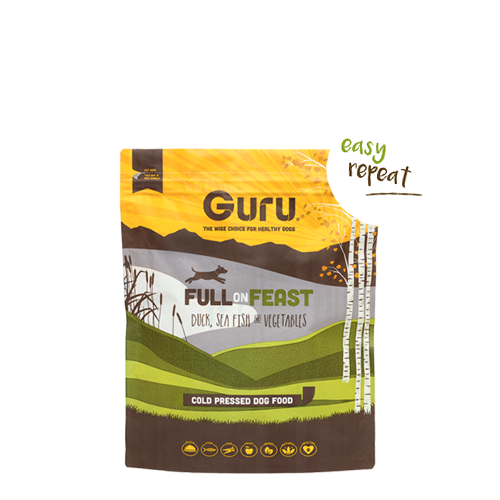 Treat your dog to this Full On Feast with delicious flavours of duck, sea fish and vegetables, available in a 5kg bag. Need to feed a larger dog? 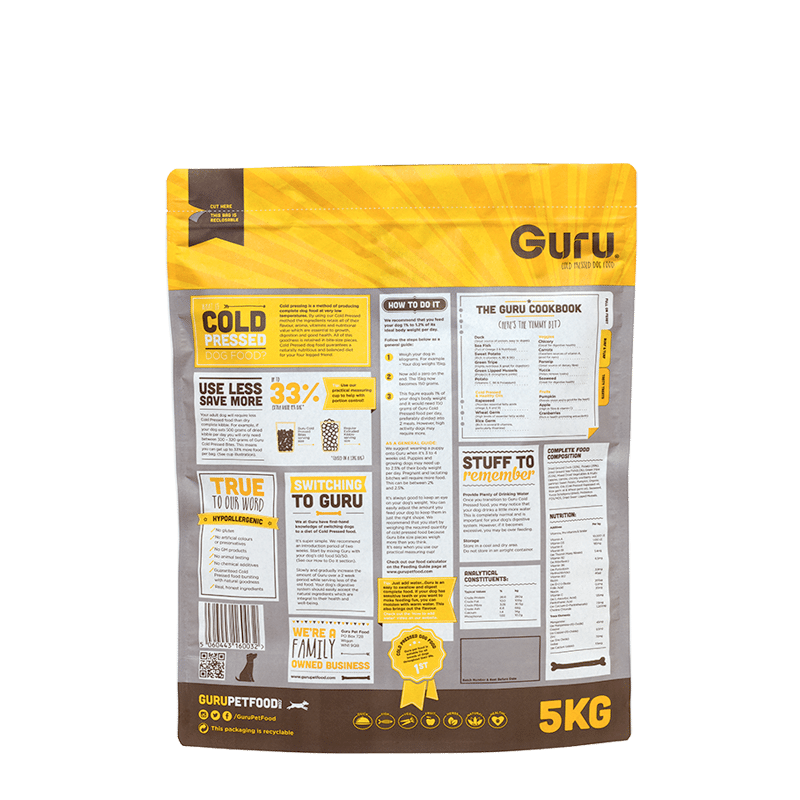 Why not try our Full On Feast 14kg bag?